・Display list of schedule of selected date in dally view. ・You can use done mark,so manage to-do too. ・Select visible calendar in dally view and 3 months view. �@Push event on list ,in dally view. �@You done event , push long time the event on list ,in dally view. �ADisplay Done Mark on the event,in dally view. �@Push Icon button in dally view. �@Push Line Color button in dally view. �@Push Settings button in dally view. ・Customize visible calendar ,time display. �@Rokuyo is ON、Display japanese Rokuyo. �ABadge is ON、Display today's date on icon badge. �BTime is ON、Display time in 3 Months View And Font Size become small. �@Customize Background Color of Saturday and Sunday. �@Customize text color of Saturday and Sunday. �@Customize color of ruled line. 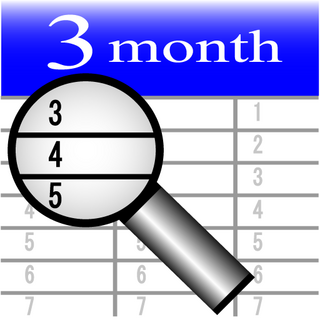 �@Select visible calendar in 3 months view and dally view each other.